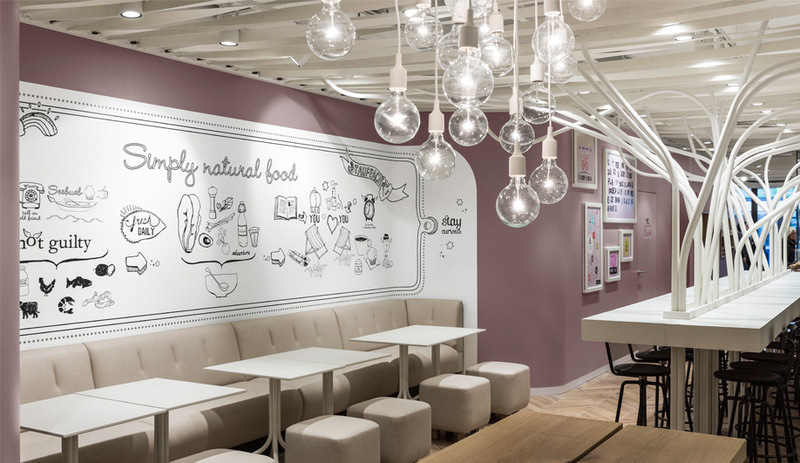 For a health food eatery, multidisciplinary studio Ippolito Fleitz Group worked wonders with mauve accents and a winter-white communal table sprouting branches. To inject an ethereal ambience into the third location of Not Guilty, a Swiss restaurant chain, Stuttgart’s Ippolito Fleitz Group employed a soft palette that revolves primarily around white finishes. It’s in line with the fast food company’s down-to-earth concept, to provide market-fresh salads, soups and sandwiches to locals with busy schedules. Guests are greeted by a floor-to-ceiling glazed entrance that immediately opens to a coffee bar, cashier desk and meal prep station – ideal for grab-and-go customers. 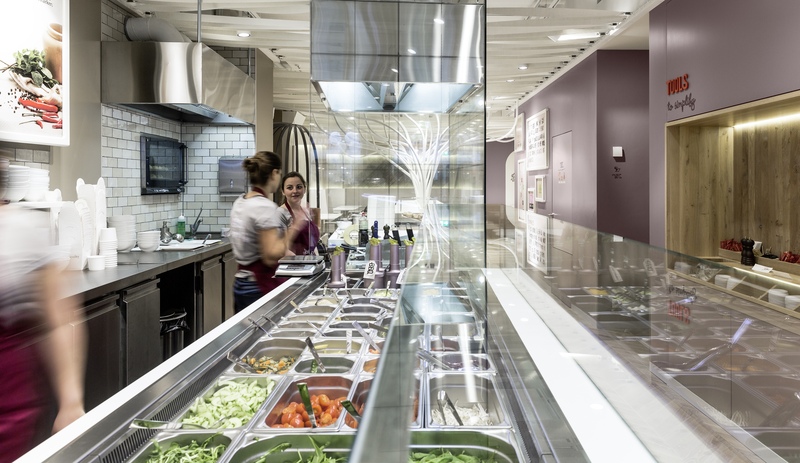 But the space beyond the salad-making hub, where visitors can dine-in, captures the essence of the brand. The walls are painted in a muted mauve, a hue that complements the warm oak flooring installed in a herringbone pattern. 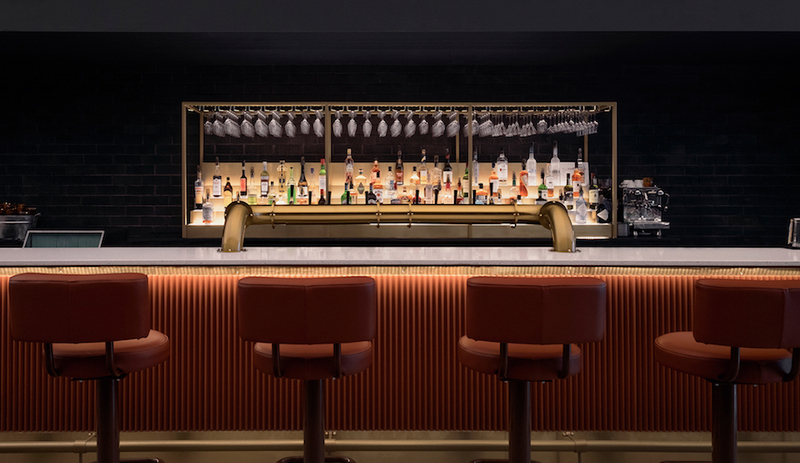 The intimate atmosphere is emphasized by the low ceiling created by twisted, white linen bands that span the entire ceiling to conceal the mechanical equipment. 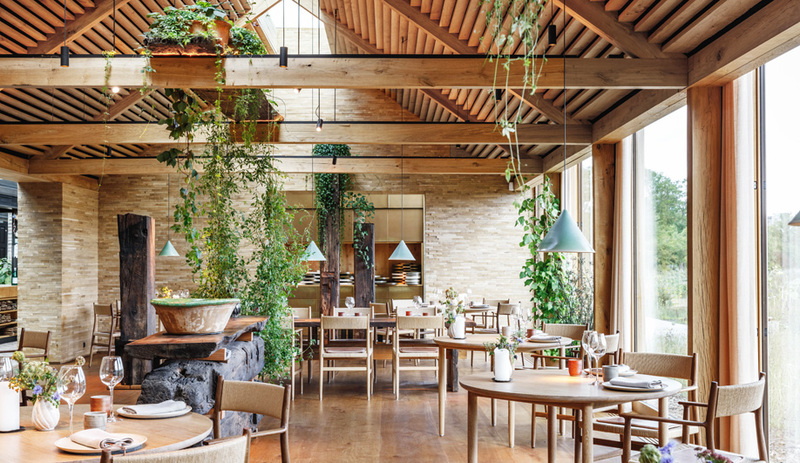 The masterstroke is the communal dining area at the restaurant’s centre. 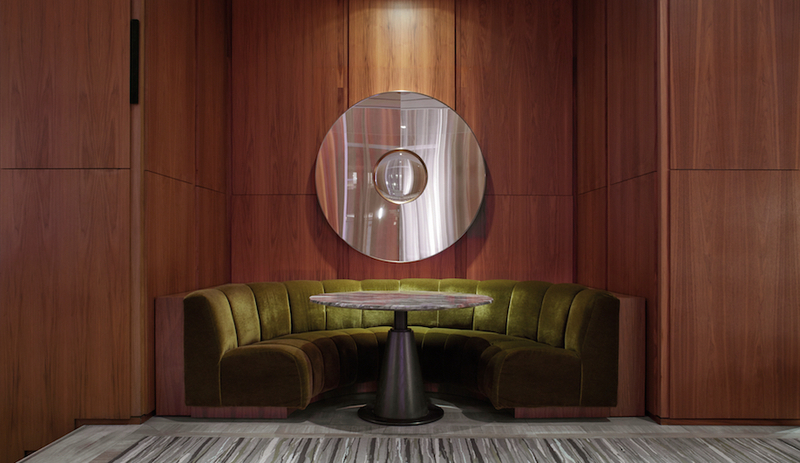 Here, a bar-height table is supported by metal tubes, which sprout from the floor and branch out across the ceiling. A second, more typical communal table in solid wood is flanked by four wood benches. An artful cluster of 17 E27 pendant lamps by Muuto hangs above it all. White bistro tables and wood chairs, as well as plush banquettes and two semi-circle banquettes featuring a crinoline-like enclosure, round out the surrounding space. 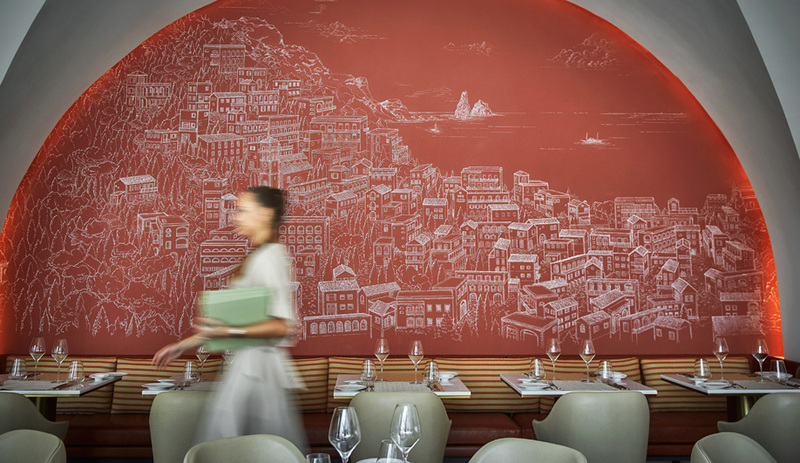 The finishing touch: the simple, but striking wall art, resembling Sharpie scribbles. It promotes healthy eating, with depiction of the foods and ingredients sourced by Not Guilty.